Child poverty, in particular, is off the agenda. Why? Because it’s to Scotland’s shame that over 200,000 children still live in poverty on our land, within our borders. The UK Child Poverty Act placed a legislative duty on devolved administrations to produce a strategy on Child Poverty. The Scottish Government’s paper can be read here. Note the publication date. Slipped out in the dying days of the last administration. Quite possibly because it accepted that little progress had been made on child poverty since 2004/5 and that faster progress has to be made if Scotland has any chance of hitting the 2020 target. Early years – The first thing the SNP could do would be to adopt Labour’s plan for a health in pregnancy grant – a one-off payment of £190 to all expecting mothers. It was ditched by the Tory government soon after the general election last year and Labour promised to reinstate it with a kilt on. The SNP said that it was a poorly targeted benefit, but equivalents like the “Healthy Start Scheme,” which are acutely targeted, miss a quarter of the people that are entitled to them. In real terms, 12000 women in Scotland alone, who are either on child tax credits or jobseekers, are entitled to this benefit but don’t receive it. If the SNP aren’t interested in operating their own scheme, they could at least do more to ensure Scottish women across the country receive the benefits they’re entitled to. Additional money to frontline advice services would be warmly welcomed by the voluntary sector and save the Scottish public purse in the long run. Income inequality – One third of children living in poverty in Scotland come from low paid working homes. The Scottish Government could lift thousands of these families out of poverty by taking early action on the living wage. It was in their manifesto, even if the commitment was slightly more timid than Labour’s. It’s relatively easy for the Scottish Government to deliver the living wage throughout its own agencies, but what we really need is strong leadership willing to take on all the difficult issues around public procurement law. Use the might of its legal department and EU connections to make community benefit clauses linked to income work and make them mandatory in all the contracts tendered out. The same political will is needed to encourage local authorities to do likewise – to use their buying, and paying, power to lift people out of poverty. The living wage should not be seen as an extragavant outlay in difficult financial times as it is so often wrongly portrayed. It should be seen as a long term cost saving measure which materially improves the quality of life and work for thousands of people. That’s just two policies Labour has to offer the SNP. I hope they will respond positively but I wont hold my breathe. In the Local Government and Regeneration Committee yesterday, I asked the Minister whether she thought the concordat was a good tool for the child poverty agenda in light of the fact that just 14 of Scotland’s 32 local authorities have an explicit indicator on the issue. She waffled a little bit and then said that Scotland could never get to grips with child poverty until it had independence, and all the powers that would bring. As a supplementary, I asked what powers she wanted and for what purpose. She couldn’t answer. They simply aren’t interested in this agenda, but Labour people are. Social justice is at the heart of what we believe in as a party. In firing up the cyclinders and highlightling the injustice of a life born to poverty, we may find the voice that leads us back to the forefront of Scottish politics once again, whilst doing some good along the way. Kezia Dugdale is a Labour MSP for the Lothians region. She sits on the Local Government and Regeneration Committee and Co-Convenes the Cross Party Group on Children and Young People. Follow Kezia on Twitter at @KDugdaleMSP. So your answer to child poverty is 1. a one-off grant of £190 to expectant mothers and 2. asking the private sector and local authorities to match Scottish Government practice on paying a living wage to staff. Both of those are good proposals – but they would make hee haw difference to child poverty overall and you must know that. Here’s a third proposal to throw into the mix then: instead of cutting council tax in real terms every year for the next 5, meaning that essential lifeline services for the most vulnerable across Scotland are closing, why not allow local authorities to raise revenues as they used to, to properly fund local services? By all means introduce a more progressive method of raising that money, but stop forcing councils to slash lifeline services. What do you think? If councils would get rid of all the placemen they would not need to raise more tax. I’m taxed to death already thanks. Why do we need Smoking Cessation Officers and 5-a-day Advisers and Diversity Officers all on about £25K pa? Because we want to make Scotland a better place? And that means improving the health of our people, and making sure there is equality of opportunity for all? I’m not saying there isnt waste in local authorities, but my job has been described as a “non-job” by some – yet my team saved the council £200k last year, and £250k the year before. But not everyones job results in savings for the council – the smoking cessation officer probably saves the NHS money. Though I would imagine that the diversity officer probably prevents costly law suits! How do you make council tax progressive? Or, failing that, how do you ensure that whatever form of local taxation you choose is based on ability to pay? Because without that safeguard any increase will punish those on low incomes – like single parents – the hardest and will do nothing at all to alleviate child poverty, indeed could increase it. The children we need to focus on are those who live in chaotic family situations where they are the latest generation of many who have lived in cycles of deprivation all their lives. A dependency on benefits, addictions and lack of belief permeates their lives and leads of a lack of hope and self-belief which would help them to take the necessary steps to find a better future for themselves. This needs more than the steps you outlined – we need to radically change how we resource our services in the local communities to support these families. Is the Labour Party ready to commit to policies which, by their nature, will take at least a generation to work and which may lead to the loss of universal services as we focus on those who need us most? I agree with that completely – and very much hope so. How can you deal with those issues without having any control over the tax and benefits systems – indeed, how do you stop the tax and benefits systems going in a completely different direction when you don’t control what happens and it is the Tories pulling the levers? So what do you suggest or are you just shooting down any thoughts on this subject? What about the self employed? Self employment is often the only work choice available. We are exempt from the minimum wage and have no employment protection either. Women running small businesses in rural areas have very poor choices available to them. As a family we meet the poverty definition criteria. Can Labour please try to grasp that rural areas exist and do something, anything, to make a difference there. I agree completly with your approach. As a teacher I see the effects of poverty everyday. Many children are being locked in a cycle of poverty and low aspiration. You are right to say we need a much more concerted effort by the SNP government to tackle this problem. Very little emphasis has been placed on this issue over the past 4 years as has been stated earlier. Policies such as free school meals for Primary 1-3 children is commendable, however, such blanket coverage means that there isn’t always value for money and many children whose parents can afford to feed their children do not. A more targeted approach would allow money to be spent on the children who really do need it. We need a quality approach not a quanitity one. How would you target that kind of support without stigmatising the children? is Kezia Dugdale not aware that the labour party was in power from 1997 until 2010 in the uk and in power in holyrood until 2007? Cybernat? My experience of many of them are they are nothing better than cyberbullies who hunt down all things Labour. As an interested observer…Child Poverty is, in my humble opinion a result of running a capitalist system. For good or bad both the Conservatives and Labour have never been able to solve this problem in Scotland. And on current thinking this will continue. But the workable answer may just lie across the North Sea. Denmark, Norway and Sweden have made great strides in reducing the preponderance of Child poverty in their countries. Why can’t we? We/you need to think “out of the box” and face squarely the main hurdles, Westminster and a low tax environment. You may then see why I’m very interested in getting control of all Scottish assets, revenues and expenditure. Until this is done our childeren will always be second best to a new shiny nuclear weapons system. 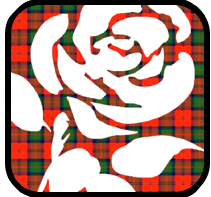 Be bold my Labour friends, Be Bold!